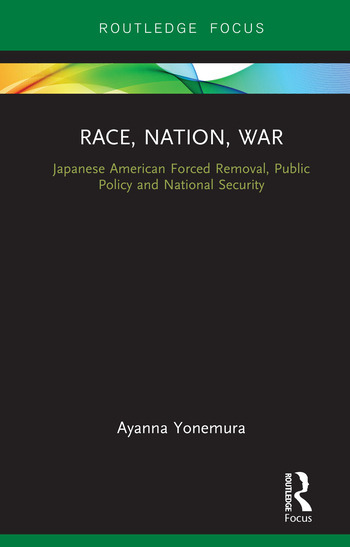 This book examines international post-9/11 policies by connecting them to the United States’ violations of Japanese Americans’ human rights during World War II. Analysing the policies of the US, Race, Nation, War illustrates how ideas of race and masculinity shaped the indefinite leave policy which moved Japanese Americans out of camps and impacted policymakers’ arguments that indefinite leave did not threaten national security or national identity. With attention to recent American and European policies, the author demonstrates that race, gender and nation also converge in President Trump’s policies on refugees and human rights, the German and European migrant crises and related German policies and politics. Assayed from a unique city and regional planning perspective, Race, Nation, War will appeal not only to scholars of planning, but also to those with interests in American Studies, gender studies, race and ethnicity, sociology, history, and public policy. Ayanna Yonemura is Lecturer in the Ethnic Studies and Sociology Departments at California State University Sacramento, USA. Her research looks at race, public policy and urban planning from a feminist perspective.